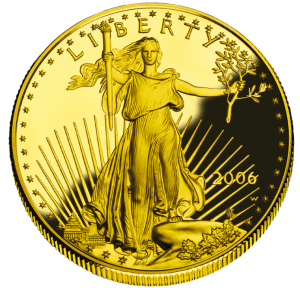 American Eagle Gold proof coins and American Silver Eagle proof coins are attractive options for both coin collectors and investors of precious metals. Not to be confused with American Eagle “bullion” coins, proof coins were created by the U.S. Mint specifically for collectors and for placement inside precious metals IRAs. As you’ll see below, purchasing proof gold and proof silver can have numerous advantages for investors, especially when integrating them into your retirement planning strategy. Use the information below as a basic guide to understanding what makes these coins unique and why you may want to consider adding them to your portfolio. Proof Coins vs. Bullion – What’s the Difference? Both the American Gold Eagle proof coins and bullion versions can be great investment options, but since each has its own features and potential benefits, it’s important to understand the differences between the two. Bullion coins minted by the U.S. have no collectible value. They are based almost entirely on their weight and content of precious metals. The gold coins are minted in several face values: $5, $10, $25 and $50 – but their real worth is determined primarily by their market value. For example, the American Eagle gold bullion coin is available in 1/10 troy oz., 1/4 troy oz., 1/2 troy oz., and 1 oz. options, and each option is made up of approximately 91.67% gold, 3% silver, and 5.33%. 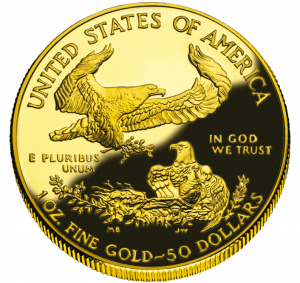 Gold and silver American Eagle proof coins have the same precious metals composition and weight as their bullion counterparts, however their value is also determined by their scarcity. What makes these coins unique is that they are released in limited quantities every year, and they are minted with the highest production standards. Proof gold and proof silver coins are never put into circulation. Thus, they are never touched by human hands. The beauty and rarity of the coins provide additional growth potential, beyond just the market value of their precious metals content. Additionally, both the American Eagle silver proof coins and American Eagle Gold proof coins are the only collectible coins that have been approved by the U.S. government for placement inside a precious metals IRA. A precious metals IRA can be a good fit for investors who want the tax savings of a retirement account combined with other benefits of precious metals: growth potential, diversification, protection against the declining dollar, and wealth preservation. To find out how proof gold or proof silver coins could benefit your investment planning, speak to the precious metals specialists at Birch Gold Group. Rated A+ by the Better Business Bureau, Birch Gold Group offers a wide various of precious metals investments, including American Eagle gold & silver proof coins, gold and silver bullion, precious metals IRAs, platinum and palladium. Get free information by filling out the form on this page, or call (800)355-2116 to speak to our knowledgeable advisors.